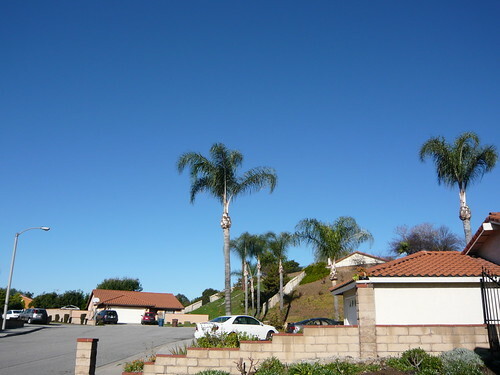 It was the first day of sunshine since I got into Los Angeles and it was a wonderful morning with clear blue skies. Not a cloud in sight as I stood outside in a nippy sunny morning of 10 degrees Celsius. Would have been the perfect day to golf but alas, duty calls first as I have several errands and meetings to attend that day. One of them involved me heading to Ontario, California (not Canada) and it is located at the foot of the hills where upon looking up, was a row of gorgeous snow-capped hills, untainted and untouched by the human hand. Nice photos. 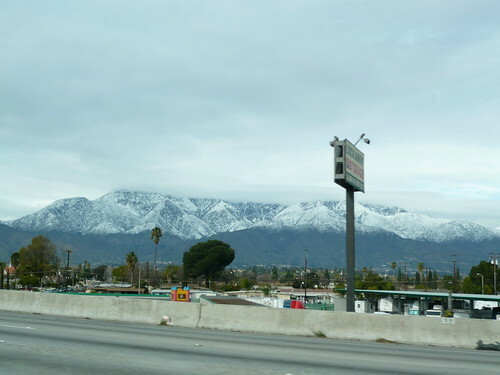 It's a rare sight to see the snow-capped mountains in Los Angeles. Everton: Weather anomalies are getting common these days. Global warming effect? Aloe: I don't think they are big enough to be classified as mountains. Hills more apt actually. Everton: Oh please. Our Bukit Timah is more like a mosquito bite! LOL.